About the group A group interested in Paisley and its surrounds. 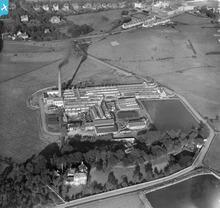 [SPW019482] Adam Hamilton and Sons Ltd., Blackland Mills, Paisley. An oblique aerial photograph taken facing east. Falside Road from the top moving down towards Fairway Avenue with Donaldswood Road cutting across the bottom of the image. nOw the site of the Grants Estate. Paisley from the west end over the crematorium at Woodside. [SAW007881] St Margaret's Convent and School, Renfrew Road, Paisley. An oblique aerial photograph taken facing east. For the old St Mirin's and St Margaret's pupils. 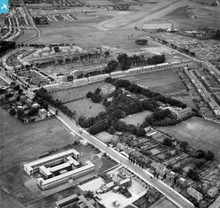 This is the Blackhall area looking west towards the town centre. Please feel free to add your images and memories of Paisley here.